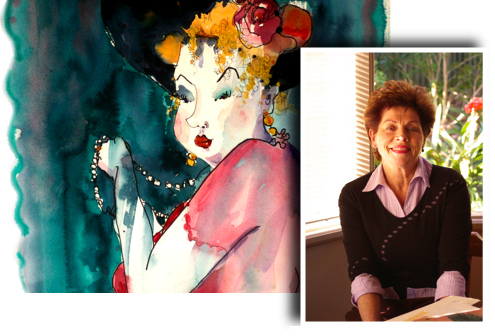 Viewpoint Online Gallery features the artwork of Sandra Hendy FRAS, AWI - an Australian Artist specialising in watercolour and mixed media. “As an artist my forte has been in the areas of colour and design. Inner city architecture has attracted my attention and I have developed this to a contemporary style and incorporated other water based media. These paintings have had a high drawing content which I have endeavoured to produce in a loose style. Conversely I have also concentrated on landscapes of the Australian outback with practically no drawing content but which give the opportunity of displaying well the nuances of watercolour. In concentrating primarily on these two very different subjects I have been able to explore and develop new ideas within this framework. This has enabled my own signature style of painting to be birthed and given opportunity for innumerable ideas for painting what first may appear ordinary subject matter. " 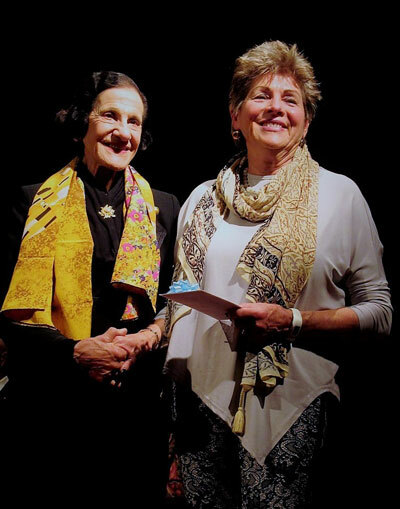 1980 became an elected member of Ku-ring-gai Art Society acting as their selection convener. 1981 became an elected member of the Royal Art Society of NSW and elevated to first an Associate and then a Fellow in 1989. 1990 invited to become a member of the Australian Watercolour Institute. 1991 exhibited with the Institute in a panel of watercolourists at the Federation of Canadian Artists. 1994 exhibited at the first International Watercolour Biennale in Mexico at the Muses De La Acuarela. 1999 featured in Australian Artist Magazine in the series entitled 'Master Painters of Australia'. Included in an Exhibition of Artists of the South Coast at the Forest Gallery, Durras in 2000 and in 2003 exhibited in the Victorian Artists' Society Invitation Exhibition. Basil Sellers Art Prize ($15000) - Finalist 2004, 2006, 2010, 2012 and 2016; Highly Commended 2008.